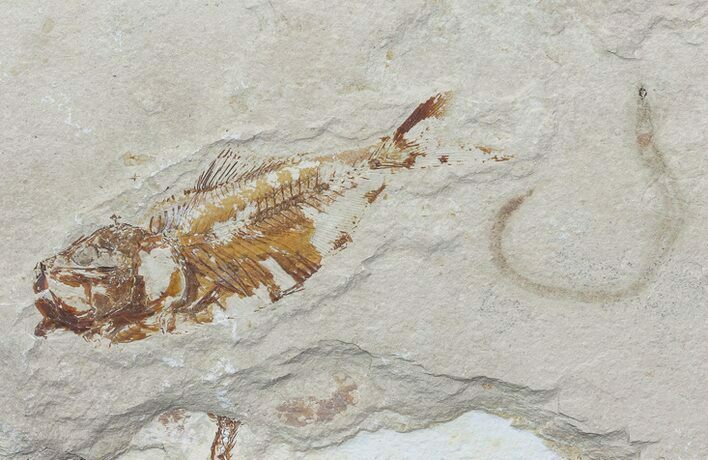 This is a cool association from the Upper Cretaceous, marine deposits near Hakel, Lebanon. 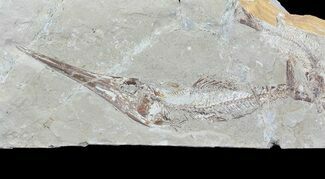 There is a 4.1" fossil fish (Armigatus) preserved right next to a soft-bodied worm fossil. Comes with an acrylic display stand. 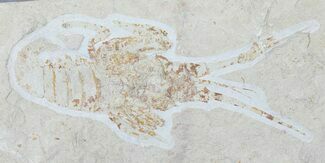 You can also see part of what looks like a fossil Mantis Shrimp and another fish exposed near the edge of the limestone. 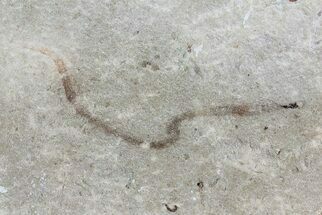 Both the positive and negative sides of the split are included. 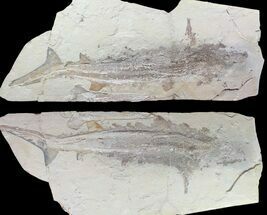 Armigatus is the most common fossil fish from the deposits of Lebanon. 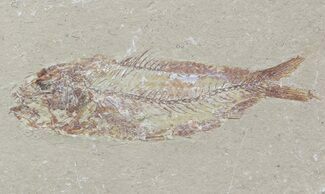 It was a fairly small schooling fish, averaging about 2 inches in length. 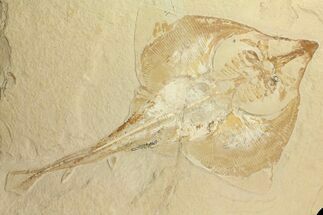 It was originally described as Clupea, then as a species of Diplomystus before it's current name of Armigatus.